Get a head start on your medical career by studying at a leading UK medical school with an international reputation for research. You will be taught by academics who are renowned for their combined expertise in teaching and research and will gain clinical experience from the start. You will graduate with the theoretical and practical skills required to provisionally register with the General Medical Council (GMC) and begin your Foundation training. Southampton’s Bachelor of Medicine, Bachelor of Surgery medicine course (BM5) is a five-year, full-time, direct-entry undergraduate programme. 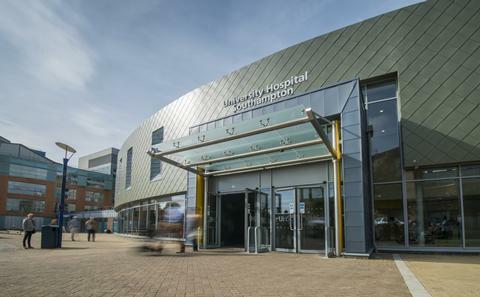 You will be based at one of the UK’s leading teaching hospitals – University Hospital Southampton NHS Foundation Trust – and the University of Southampton’s purpose-built, multi-million pound Life Sciences building. From the very start of your course you will gain clinical experience in a number of different settings both in hospitals and general practice. You will join our friendly, ambitious undergraduate community where you will study a wide range of science and social science disciplines to gain an understanding of medical practice, developing the knowledge, skills and attitudes you need to work as a doctor. You will be based at a research-intensive University with a 50-year history in training thousands of doctors and scientists. Our academics are leading on a wide range of areas including asthma, osteoporosis, antibiotic resistance, developmental origins of adult disease, liver disease and diabetes, as well as being home to the UK’s first Centre for Cancer Immunology. You will undertake a research project in Year 3, leading to a final award of BMedSci (Honours), BMBS; and you have the option to intercalate to achieve a Masters in Medical Science degree. All applications must be made through the Universities and Colleges Admissions Service (UCAS) by 15th October in the year prior to entry. For more information see Entry Requirements and How to apply. From the very start of your course, we relate your learning to future practice. You will meet patients both in hospital and general practice settings at regular intervals during your first two years and will begin your full-time clinical placements in Year 3. In your first two years, you will learn the basic skills of history and examination. You will attend a birth in your first year, and will work with a health care support worker in Year 2 to gain experience of a ward environment. After completing your research project in Year 3, you will embark on clinical placements across the Wessex region, and following your final exams in Year 5, you will get the opportunity to take part in an elective placement abroad. Before you graduate you will benefit from a 4-week placement where you will work closely with a Foundation Year 1 doctor. In the first two years you will learn about the major body systems and how they work both in health and disease. Your learning will be embedded in a clinical context. You will also undertake student selected units in medical humanities and public health interventions. In Year 2 you will complete a Research into Medicine and Health module in addition to the systems-based modules that equip you with the basic tools to understand research methodologies as well as preparing you for your research project in Year 3. In your third year you will complete a research project on a topic of your choice from a wide variety of disciplines. Your project will have a basis in either clinical, biomedical, educational or social sciences, and you will have the opportunity to work in a variety of settings including University research laboratories or in a clinical environment either in hospital or primary care. For the remainder of Year 3, you will be on clinical placement in hospitals in Southampton, Winchester or Portsmouth, and attached to local GPs. Successful completion of Year 3 will result in the award of a Bachelor of Medical Science (BMedSci). In Year 4 you will extend your clinical experience through placements in a range of clinical specialities in hospitals and community settings. Clinical modules include Obstetrics and Gynaecology with Genito-Urinary Medicine, Psychiatry and Child Health. You will also study a new four-week Acute Care module that focuses on the management of an acutely unwell patient in the first 24 hours, as well as spending time on an intensive care unit and in an emergency department. In your final year, you will consolidate your learning in the core specialities of Medicine, Surgery and Primary Care and will also have the opportunity to choose a student selected unit in a clinical area of your choice. Alongside the clinical modules we run a Personal and Professional Development (PPD) module that allows you to explore and develop the professional skills essential for your postgraduate career. You will undertake placements in hospital and GP settings all over the Wessex region extending to Guildford to the North, Portsmouth and Chichester to the East and Dorchester, Bournemouth, and Poole to the West. Some of our students travel as far afield as Jersey for clinical placements. After your finals, you can take part in an eight-week elective placement abroad. You will gain apprentice-style experience in medicine and surgery by being attached to a Foundation Year 1 doctor for four weeks before graduating. There are a limited number of places available for BM5/6 medical students who wish to take an intercalated classified honours Master in Medical Science. You will study for the degree between years 3 and 4, extending your BM programme by one year. This programme is particularly aimed at students who are interested in pursuing a career as a clinical academic doctor, and applicants will be selected on the basis of their performance during the BM programme. Southampton offers a very supportive environment in which to study and provides an intellectually stimulating and diverse course which allows you to develop the necessary skills to become a confident, competent and caring doctor. Dr Jane Wilkinson is the BM5 programme lead. Here Dr Wilkinson talks about the BM5 programme at Southampton. GCSE Please read this section in conjunction with our How to apply and Entry requirements pages - six GCSEs at grade A or above, including either maths, biology and chemistry, or maths, additional science and science. English language is required at a minimum of grade B.
AAA, including chemistry and biology. General studies and critical thinking are not accepted. Subjects with material that overlaps (e.g. human biology/sports studies/physical education) may not be offered in combination at A level. 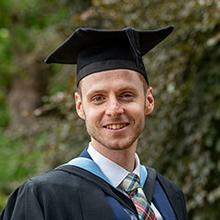 Degree: An upper second-class honours in your first degree in any subject. For further information regarding your first degree, please visit our BM4 page. A levels: Chemistry at grade C or above. Alternatively, AS level chemistry and biology/human biology at grade C or above where chemistry has not been taken to the full A Level. GCSEs or equivalent: GCSE English language and either maths, biology and chemistry, or maths, additional science and science. All at grade C.
GCSEs: A minimum grade C in mathematics, English Language and either biology and chemistry, or additional science and science. A levels: AAA, including chemistry and biology. In addition to academic entry requirements, you will be assessed against our non academic criteria. All applicants are required to take the UKCAT test. For further information, please visit our UKCAT page. Please note that the UKCAT score of those applicants attending a Selection Day varies year on year and as such it is not possible to give applicants an indication of the score that is required to attend a Selection Day. EU and international applicants are expected to fulfil the same academic and non-academic criteria as home applicants, and you can do so through a wide range of qualifications. 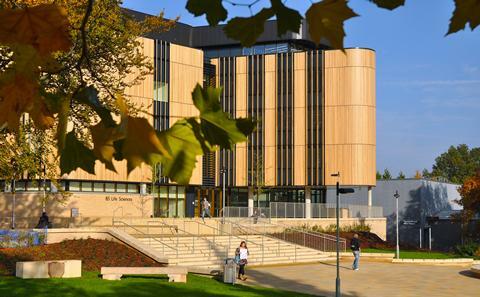 If you are an international or EU applicant and English is not your first language, you should offer one of the University of Southampton's recognised tests in English language. For further information please visit our Entry Requirements page. Offers to EU students are made from the UK quota. Please visit our How to Apply page for details on our Selection Process. The programme is split into four distinct phases. The Fundamentals of Medicine phase takes place over the first two years and is made up of four University semesters; the Progression into Clinical Practice Phase takes place in year 3 and occupies 41 weeks. The Developing Clinical Practice phase takes place through Year 4 (37 weeks) and the first half of Year 5 and ends with the Year 5 examinations. The final phase - Preparing for Independent Practice - takes place in the second half of Year 5 and finishes with Graduation. Year 5 is of 47 weeks total duration. The programme is modular; modules are assigned credits for the European Credit Transfer Scheme (ECTS). The programme is totally integrated to award the BM and BMedSc degree. The BMedSc degree can only be awarded alone as an exit degree. There are defined exit points with appropriate academic awards after successfully completing each year of the programme, which you may apply for if you leave the programme. All modules on the programme are core and must be passed in order to progress and graduate. There cannot be compensation between any modules in any part of the programme. Equipment IT - Hardware: Across all campuses and most halls of residence approximately 1700 computer workstations are available. Students may wish to purchase their own desktop/laptop/tablet computer to support their studies. This is entirely optional. Equipment Medical equipment and materials, e.g. fob watch, stethoscopes: You will need to purchase a stethoscope. No specific make or model is required. You can purchase this from any source. Stethoscopes are available to buy during Faculty induction. Prices start from £39. You will need to purchase a fob watch with a second hand that you can pin to your clothing or put in your pocket, as you are not permitted to wear wrist watches in clinical areas. No specific make or model is required. You can purchase this from any source. Prices start from £1.50. Placements Accommodation: You will need to pay for any accommodation required as part of your Elective. Placements Insurance: You will need to pay for insurance if you chose to undertake your Elective outside of the UK. Placements Medical insurance: You will need to pay for medical insurance if you chose to undertake your Elective outside of the UK. Placements Immunisation/vaccination costs: You will be expected to pay for any immunisation/vaccination costs required to ensure you have a complete immunisation/vaccination history prior to commencing the programme. Further information on required immunisations/vaccinations is provided to those applicants made an academic offer of study. You will need to pay for any immunisation/vaccination costs associated with overseas travel if you chose to undertake your Elective outside of the UK. Conference expenses Accommodation: Students may have the opportunity to attend an academic conference during their studies. Attendance is optional. You would be expected to pay for the costs of any accommodation and travel associated with the conference if you chose to attend. Other Parking costs: See placements travel costs. Travel In your final year you will need to return to Southampton from clinical placement in order to sit the Situational Judgement Test (SJT). This test is required as part of the application process for The Foundation Programme, which follows directly after graduation. You will normally be required to pay for your travel costs back to Southampton to sit this exam. As a medical student, you will be able to take advantage of opportunities for multi-professional learning, which will be essential as you prepare to join the healthcare teams of the future. Whether you choose to be a physician or a surgeon, a general practitioner or a clinical scientist, or you follow any other path, our degrees represent the first stage in a rewarding career as a doctor. Each programme provides a comprehensive and balanced curriculum to enable you to develop the knowledge, skills and professional attitudes and behaviours that you will need as a newly qualified doctor. There is some discussion about whether to remove provisional registration for newly qualified doctors. If this happens then UK graduates will receive full registration as soon as they have successfully completed a BMBS (or equivalent) degree. It should be noted that it is very likely that UK graduates will still need to apply for a training programme similar to the current Foundation Programme and that places on this programme may not be guaranteed for every UK graduate. The GMC is currently considering a formal assessment that UK medical graduates would need to pass in order to be granted registration with a licence to practise. Although no final decision has been taken as to whether or when such an exam will be introduced applicants should be aware that the GMC envisages that future cohorts of medical students will need to pass parts of a Medical Licensing Assessment before the GMC will grant them Registration with a Licence to Practise. Teaching is integrated so that the natural, social and behavioural scientific disciplines are taught together in a clinical context. Three themes run through the programme: Communication, Diversity, and Team Working, Leadership and Patient Safety. Specific teaching and learning methods used include: lectures, tutor led tutorials, practicals, guided self-study, problem solving scenarios, role play, projects, group work, portfolios, study packs, eLearning, patient-based learning. Clinical teaching takes place from the start of the programme, and occurs in groups and singly in a wide variety of NHS and non-NHS settings. A range of assessment methods are used depending on the learning outcomes being assessed. Coursework will include: essays, reports, posters, project reports and presentations. Examinations will include written tests and tests of clinical performance.